Say you own a house, an apartment or a similar piece of real estate – you probably won't leave it laying there doing nothing for too long. Chances are, you'll want to either rent or sell it in order to get some income and make the best of what you have. Yet things tend to be different when discussing land. Perhaps it's the fact that land can seem menacing and out of control, especially when left to grow to unseen heights – things can reach a point where owners would much rather forget about it for the foreseeable future. If this sounds familiar, don't wait a minute longer to pick up the phone and give us a call. You'll be amazed by what we can do for your land – trust us when we tell you that we have transformed some nasty-looking jungles into slick, trimmed-down yards in no time. The 'no time' bit is very important: part of what makes our land clearing services so appealing is that we're able to work fast without sacrificing any quality. If you're hesitant to call us because you feel we'll put up a tent on your land and overstay our welcome, don't be – we want to do our job quickly just as much as you want to get things done and have your property back where it's supposed to be. 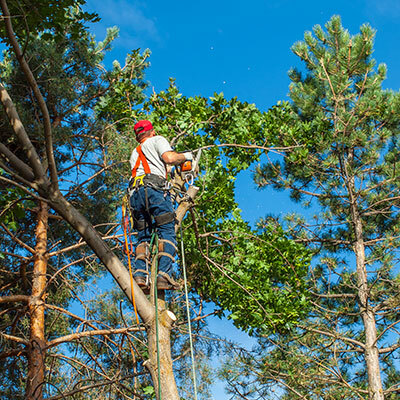 Our land clearing services are as varied as the types of land one can own and the growth that can be found on it. 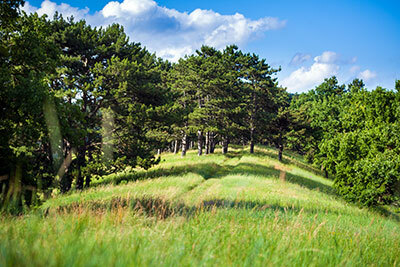 Sometimes, the 'land clearing' will merely involve trimming down a larger yard or similar area that will be turned into a garden once unwanted growth has been dealt with. Just as often, we will be clearing huge plantation-type surfaces with dozens of kinds of different growth. You don't have to have a clearing plan or know what you want from your land – all that's needed is initiative on your part. Get in touch with us and we'll work with you to create a clearing plan that fits your needs and lets you use your land to magnificent ends. Our tools and clearing machines coupled with our expertise will guarantee that no part of your land remains unkept – we'll eliminate every last bit of growth you don't want to have around. From trees and shrubs to insects and animals, we'll clear everything and present you with something that could pass as a well-maintained lawn in a decent suburb. Likewise, we won't jump to the clearing bit and will consult you on what to clear before commencing with the cutting. We'd hate to remove growth on your land that you'd like to keep, which is why we always aim to create a plan of execution – you won't have to worry about mishaps with us. Once your land is clear, expect to be amazed by the amount of potential uses you can find for it. You never know – a piece of land you own (but would rather not think about in its present state) might end up becoming one of our great state parks.